reference sheet as part of the pattern. This reference will prove vital as you do the rest of the quilt. It is very important to cut accurately. Do not trim the material. 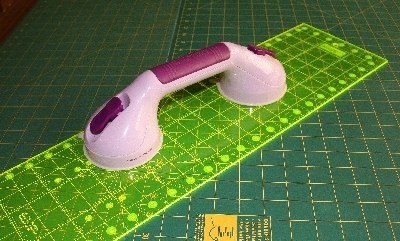 Having strips longer than 20.5″ can make sewing and strip cutting easier. wise (parallel to the selvedge), to produce fabric that is around 21–22″ wide. 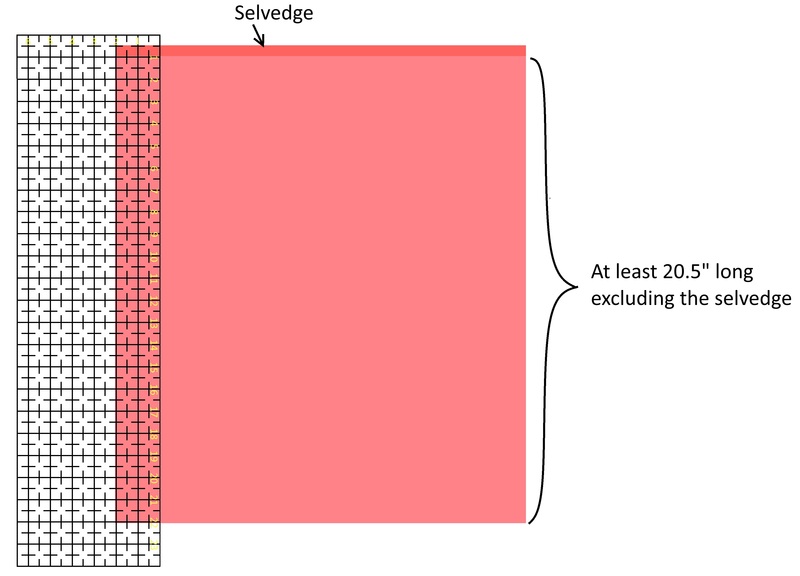 If cutting a fat quarter that has had the selvedges removed, then cut parallel to the longest side.. This is tremendously important; if you get it wrong you will find yourself having to buy more material, or do some seriously difficult mathematics and piecing! As you cut the strips, make sure you put them in piles of the same colour. 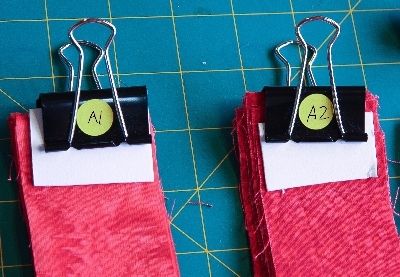 Clip them together using labelled butterfly clips with white card to protect the fabric. This makes it easy to move the piles around and to put the fabric away between sewing sessions. apply it to the reverse side of your ruler. Use the same ruler for the whole job. Do not cut more than two layers at once. Always use a new blade, using a blunt blade can put undue strain on your wrist and shoulder. Try out several different types of roller cutter until you find one that suits you. Make sure your cutting table is a good height. Stop if it starts to hurt!